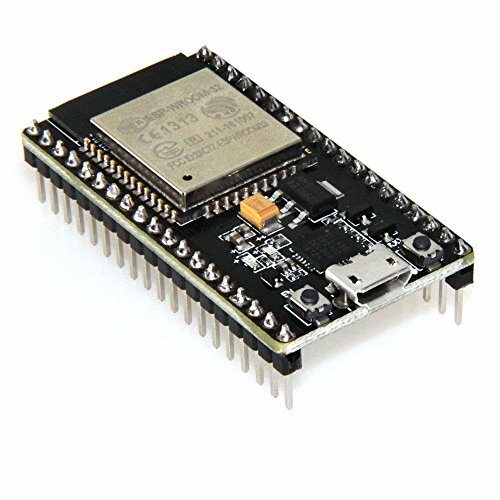 The ESP32 integrated with Antenna switches, RF Balun, power amplifiers, low-noise amplifiers, filters, and management modules, and the entire solution occupies the least area of PCB. 2.4 GHz Wi-Fi plus Bluetooth dual-mode chip, with TSMC Ultra-low power consumption 40nm technology, power dissipation performance and RF performance is the best, safe and reliable, easy to extend to a variety of applications. If it cann't get bluetooth working? Using Node32s as the Board selection. To reference GPIO pins in code use just the number, for example "digitalWrite(13, HIGH)" sets GPIO13 high. The built-in LED to GPIO2. View More In 3D Printer Parts & Accessories. If you have any questions about this product by HiLetgo, contact us by completing and submitting the form below. If you are looking for a specif part number, please include it with your message. © 2019 - metalbot.org. All Rights Reserved.